Asheville, NC—Organic Growers School (OGS) announces the launch of their new Coaching & Consulting program to serve home-owners, farmers, backyard gardeners and sustainability seekers in Western NC. The program is designed as a one-on-one, site-specific, education and support service to help home growers move forward more quickly and easily on their land-based and food production projects. OGS Consulting & Coaching services focus on the design and planning of all manner of projects from new gardens, orchards and off-grid systems, to green-building projects and design for farm-based production. Because each person is unique in their experience, vision and physical capacity, and each site is unique in its climate, topography and soils, the services are personalized. OGS helps farmers and homesteaders assess their time, skill and budgets and guides them into realistic next steps. Typically the service begins with a Comprehensive Assessment which includes a detailed intake and guided self assessment, a site visit, design and planning assessment, and referrals to local products and service providers. This can then be followed with ongoing support services and more in depth and specific coaching and consulting. The areas of design and planning support being offered by OGS fall into four major categories with a multitude of subcategories: Farm & Garden (including design, installation or maintenance of Livestock, Garden or Orchard Systems), Utilities (including Alternative Energy & Water Systems), Building (including Major & Minor Construction), and Landscaping (including Earthworks, Excavation, Arbor & Tree Felling as well as Landscaping Maintenance). OGS is well-positioned, as a local non-profit with a strong history of community service, to motivate, inspire and support home growers and sustainability-seekers in our region. OGS has provided educational programs for farmers and growers since 1993 and is widely respected as a source of high quality, practical and regionally appropriate information on gardening and farming organically. To increase the number of people who are successfully growing on a home and community scale. To increase the number of people who are implementing sustainable solutions in their lives. In order to meet these goals, OGS provides year-round education in the form of conferences, trainings and workshops; produces outreach and public awareness campaigns to encourage people to “Get Growing;” offers access to a variety of web-based resources including award-winning blog series featuring farming and gardening advice called “Ask Tom” & “Ask Ruth;” and has now created a Coaching & Consulting program where folks can get direct access to experts in all aspects of sustainable living and homesteading. According to the statistics on world hunger, 842 million people in the world are food insecure. And while the Asheville area has been dubbed “Foodtopia” by some, a 2013 report by the Food Research and Action Center ranks the Asheville Metropolitan Statistical Area as the ninth hungriest city in the nation, with more than 1 in 5 (21.8%) of residents experiencing “food hardship.” That same report ranked North Carolina as the tenth hungriest state in the nation. 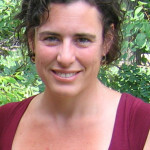 Greenstein’s background is in renewable systems, alternative energy, water, homesteading and permaculture, specifically providing consulting, design and technical services for the creation of integrated systems. He has been homesteading, including off-grid living and food production, in the western NC mountains for 20 years. He co-founded and co-managed the Forestry Cooperative, a land-based, value-added sustainable forestry cooperative and has also managed a heavy-equipment-based earthworks company. Brandon specializes in design systems for the home and land, including garden and landscaping, construction projects, and most everything having to do with the practicalities of ecological design. Clients who seek out the OGS Coaching and Consulting services will work directly with Greenstein, as well as other regional experts. By connecting those aspiring towards more food and energy self-sufficiency with the customized resources they need, OGS is facilitating both the success and self-reliance of western NC residents and growing the regional small businesses that are providing products and services for these projects. Since 1993, Organic Growers School has been the premier provider of practical and affordable organic education in the southern Appalachians. We are building a vibrant food & farming community by boosting the success of organic home growers and farmers in our region. A 501c3 non-profit, our mission is to inspire, educate and support people to farm, garden and live organically. Our hands-on training, workshops, conferences and partnerships strengthen and celebrate each grower’s move towards self-reliance.